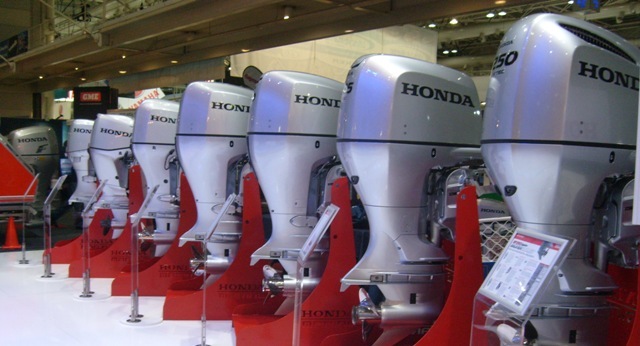 Enterprise Marine are proud to have been appointed the distribution agent and service centre for the full range of Honda Outboard Motors. If you are in a hurry to get a whisper-quiet Honda Outbaord Motor strapped to the back of your boat, then give Chris Tocchini a call on 02 9999 8885 and receive a special introductory quote for the Month of September. Alternatively, complete our Contact Form and we will be back to you very promptly.rnrnOur Honda Distribution Centre is situated in Bassett Street West, Mona Vale. We sell and service Honda Outboard Motors throughout the Lower North Shore of Sydney - The Northern Beaches - Pittwater District - Manly Warringah Peninsula.